The mission of Abilities in Action is to provide excellence in therapy to children with delays and disabilities. We strive to enhance the lives of children with disabilities so they can play and learn with their peers. 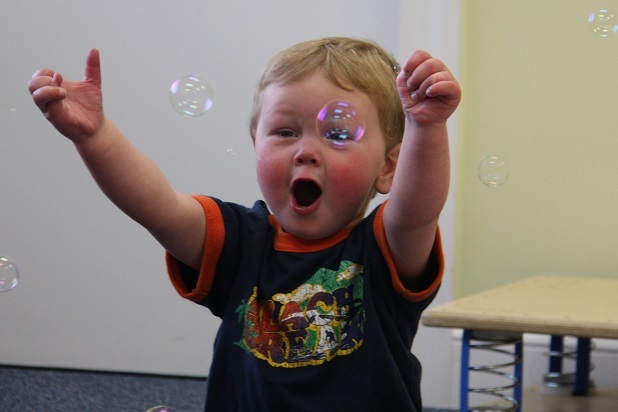 The purpose of Abilities in Action is to deliver comprehensive intervention to infants and children within a fun and therapeutic environment. Abilities in Action holds a strong commitment to the education and collaboration of our staff. We use the most advanced techniques and equipment to help children reach their maximum potential. Abilities in Action is driven by a vision of a society in which all children are included regardless of ability. In achieving this vision, Abilities in Action and its employees will be leaders of high quality, cost effective clinical care. Abilities in Action was founded by Kristy Caldarella and Tony Caldarella in September 2006, recruiting Lauren Gallagher as the Director of Occupational Therapy to design a sensory integration gym and develop the occupational therapy program. Abilities in Action opened its first center in Oceanport, New Jersey, on January 31, 2007. By June 2008, Abilities in Action had already outgrown their original space and an expansion was in progress. Positive reviews and word of mouth drew patients from all over central New Jersey to Abilities in Action. Recognizing that families were traveling quite a distance for our services, Abilities in Action decided to open a second center in Wall, New Jersey, in October 2011. Kelly Sheehan was promoted as the Clinical Director of the Wall facility. In July 2013, the Oceanport center relocated to a larger facility conveniently located in Shrewsbury, New Jersey. Kim Charette, a well respected Occupational Therapist in Monmouth County, was recruited as the Clinical Director of the Shrewsbury center. In January 2016, both centers expanded, doubling each center's therapy space. Currently, the Abilities in Action team consists of over 50 therapists with individual talents and backgrounds who specialize in the field of pediatrics.